If any of these ring true to your current situation then maybe you need to relook things and build your own budget-friendly home gym which will allow you to workout in your own space, at your own pace, without worrying about the gym’s working hours clashing with your other commitments. The bonus of building your home gym will be that you can workout in your underwear if you ever feel like. Sounds good right? Before we get into it, you must, first of all, remember that it takes discipline to workout consistently from home. Having clear-cut reasons why you want to achieve anything in life is the key to success. You have heard it before I know. 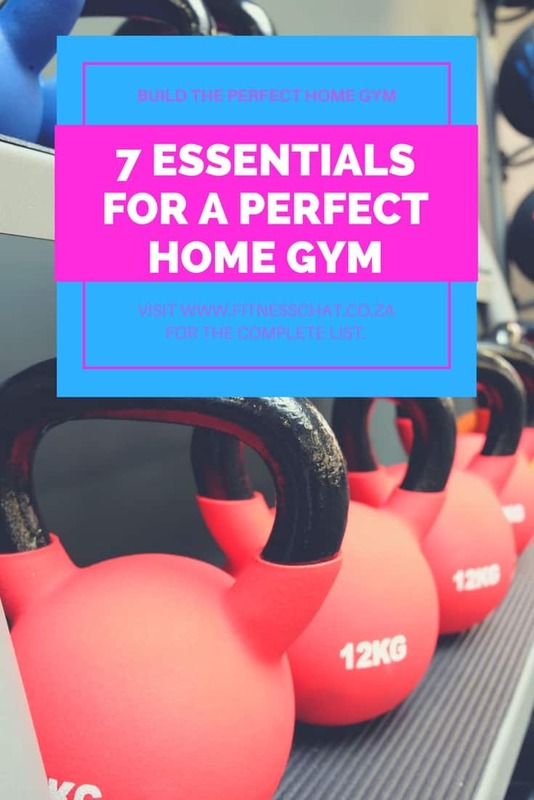 I am here to tell you that even with a task such as setting up your home gym, your fitness goals should be clearly defined. 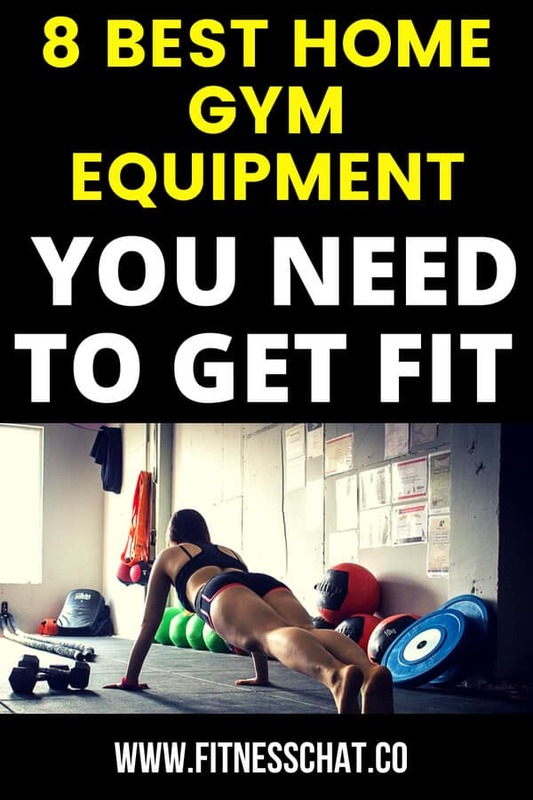 Before you splurge on any home gym equipment, figure out what your ultimate goal for training will be. 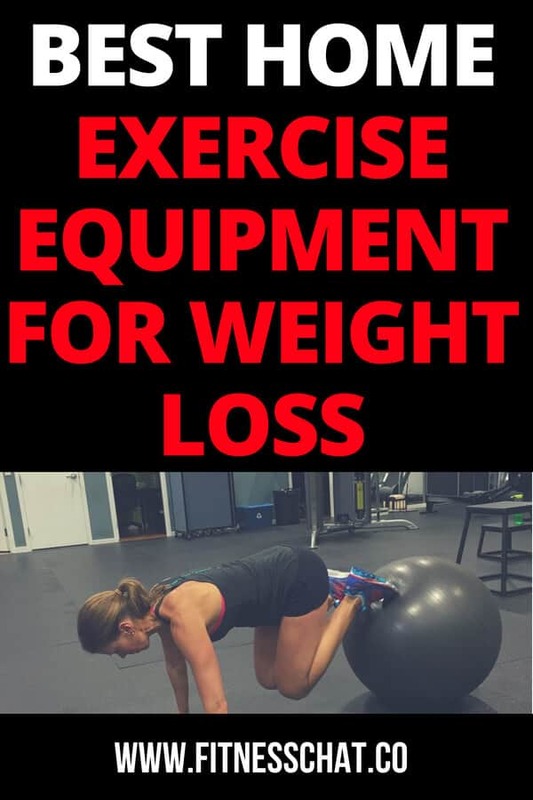 That will determine what sort of budget-friendly home gym equipment you should be focusing on. Next to fitness goals is how much money you have to set up a home gym. How much are you willing to spend in order to build a home gym? 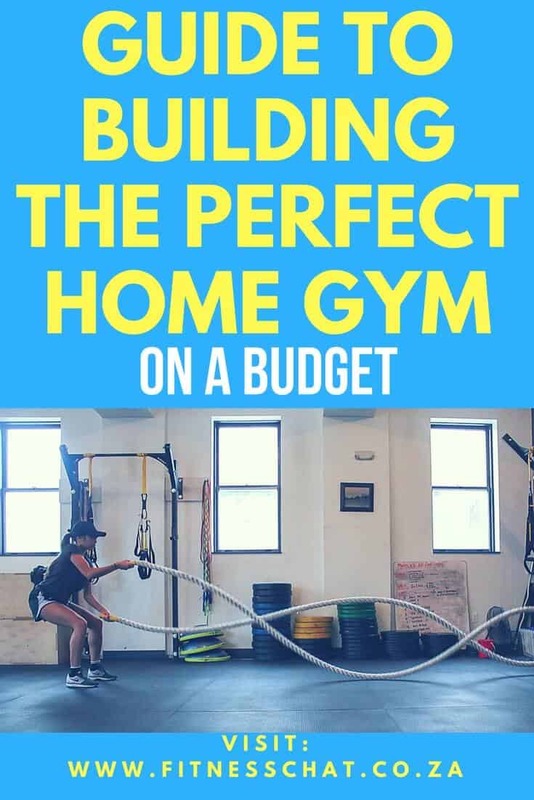 You may not afford to buy all the budget-friendly home gym equipment at once depending on the cash flow but allocating a budget to building your home gym within a certain time frame will help you keep your eyes on the prize. Finally, how much space you have available is another great way to help you figure out the size of home equipment you should be eyeing. Resistance bands are a must-have when you are building a home gym on a budget home because not only are they affordable, they are also very portable and great for a full body strength workout. There are tons of exercises that you can do with resistance bands and depending on your fitness level you can pick a band with suitable resistance. Be careful not to buy resistance bands made out of cheap material that may snap in your face. I recommend the anti- snap Bodylastics Stackable max tension resistance bands which are of high quality. A skipping rope is the most affordable body conditioning tool that you will ever buy. It also happens to be one of the very effective when it comes to torching calories. Depending on your skipping pace, you can set your own level of intensity ranging from low to medium to high. I have a very basic jump rope and it cost me less than $5 but it does what I need it to do and so will yours. But you can always buy the fancy ones available on the market if you are so inclined. The King Athletic Jump Rope is long lasting and can be adjusted to the desired length. The best moves to perform with a kettlebell are the kettlebell swings. The exercise when properly done hits the glutes, hamstrings, abs, shoulders and quads – while building strength and muscles as well as burning fat. The secret to getting all the benefits out of training with kettlebells is to do any of the moves such as the Turkish get-ups, the swings, or the goblet squats, with correct form. 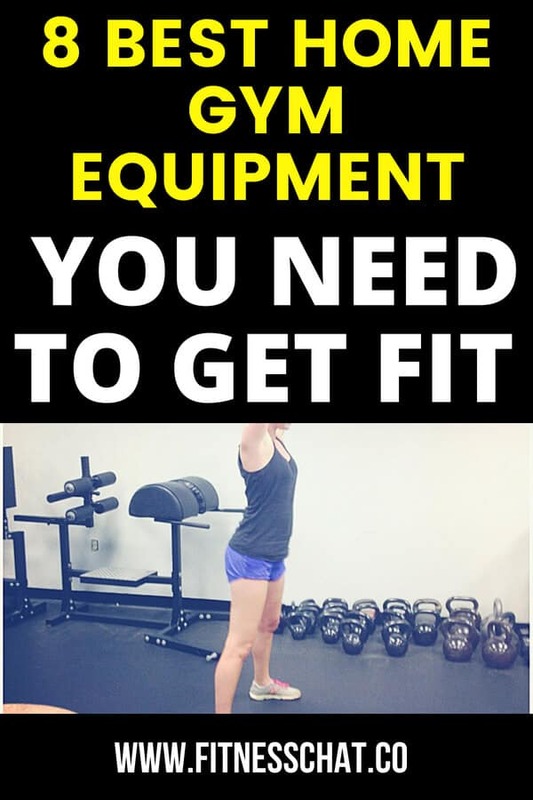 I would highly suggest that you start with very lightweight if you have never worked with kettlebells before and practice, practice, practice until you get the grips and moves right, then move to something heavier depending on your fitness level. Quick tip for picking the right kettlebells: shop for the ones with smooth handles that aren’t painted nor made from plastic. 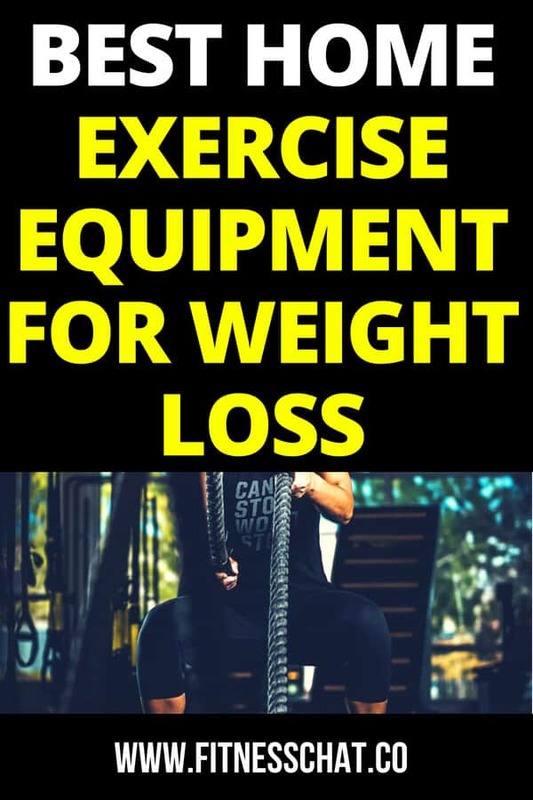 Instead of regular dumbbells, I am recommending the adjustable dumbbells because depending on the type of exercise you are doing, you may require different weights and that is where adjustable dumbbells beat the regular dumbbells. If you decide to go the regular dumbbells route, you may have to buy multiple weights whereas the adjustable come in one stack and you just pick the weight you want to work with depending on weight of the set that you purchase. Although adjustable dumbbells are more expensive than the everyday ones, they will save you loads of money and space if you wisely select a set or two that fits your current and future strength training goals. If you feel the Bowflex look too intimidating, then you can buy this lovely Tone Fitness Neoprene Dumbbell Set which comes with a rack. A yoga mat comes in handy when you have to do floor work such as donkey kicks, planks and a lot of abs and core routines. If you can afford more than just a yoga mat, then buy a larger floor mat which can cover your entire workout space. Yoga Design lad and Gaiam make premium print yoga mats which come highly recommended. 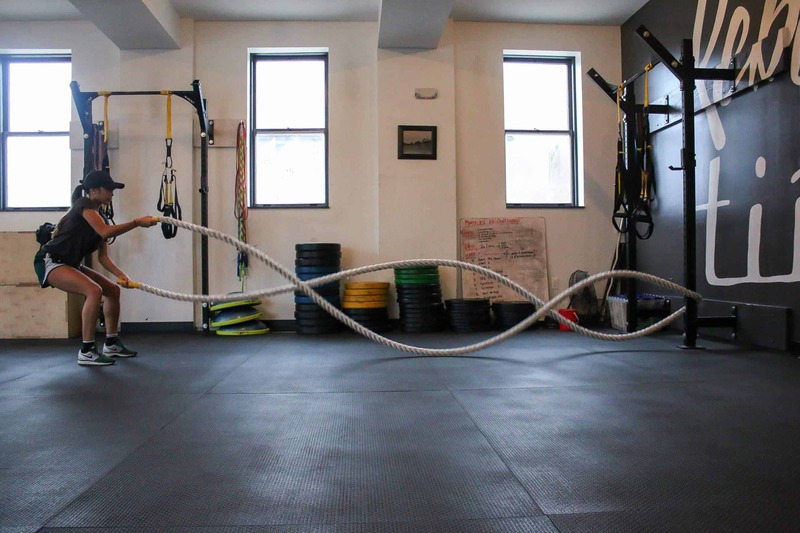 If you have space to enough to accommodate the length of a battle rope, (widths and lengths vary) then go for it and get yourself one if you want to incorporate quality High-Intensity Interval Training (HIIT) into your routine. Battle rope training is effective for hitting the shoulders, abs, legs and back muscles. Great moves to do with a battle rope include the double or alternating waves. I wrote this article a few months ago, explaining how to recover from muscle soreness. 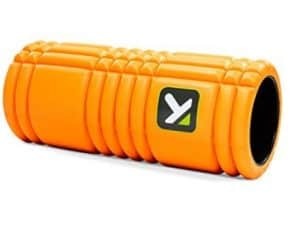 You will need a foam roller for an amazing but painful relief from pain (If you do not understand what I just said, try foam rolling when your muscles are still sore). Foam rolling will improve your muscle recovery time, increase muscle blood flow and also improve your flexibility. 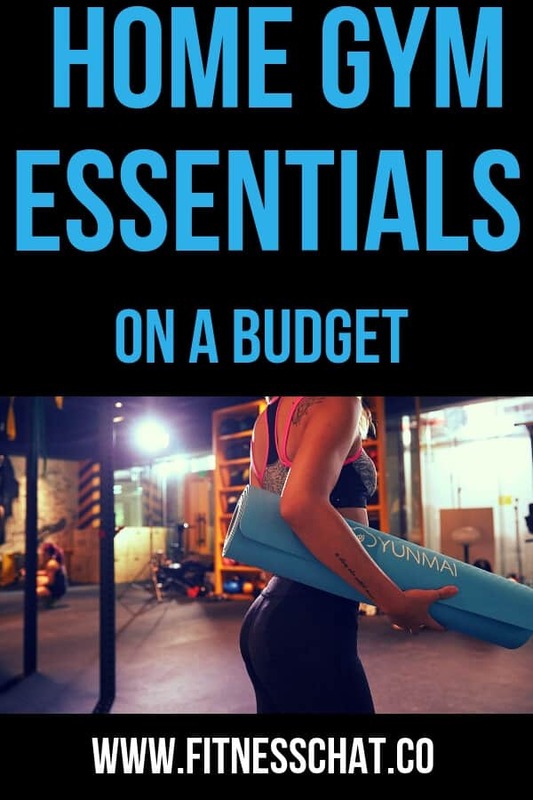 The above items are the essential equipment for building a home gym on a budget. 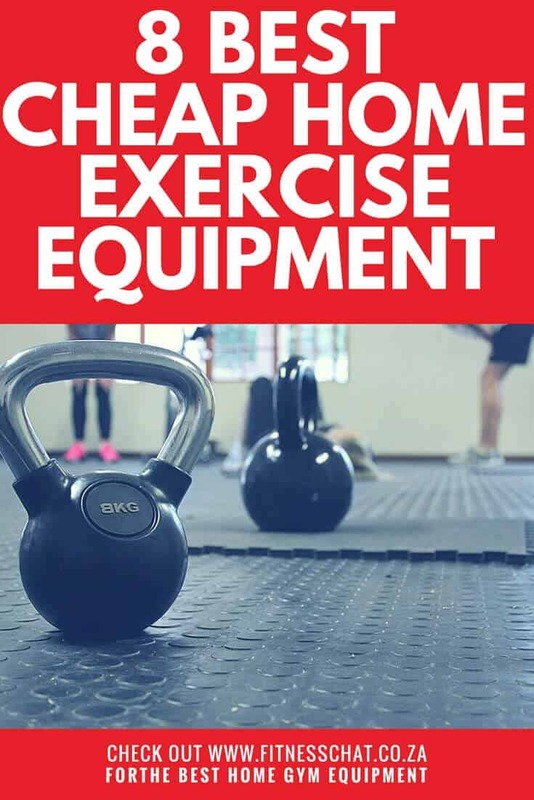 Once you have these items and have mastered how to build your own home gym without breaking the bank, you may then consider adding barbells and plates, an adjustable bench and a power rack. You may need this sturdy Marcy Flat Utility weight bench for weight training and Abs workouts. Once your gym is in place, consider putting up a workout plan that you can change up every 6-8 weeks. If you do not know where to start, check out these free weight training programs for beginners. I have some of these things, but the trick for me is actually using them LOL. I am so bad about motivating myself to workout when I am at home. Haha you are not alone. It takes real discipline to exercise from home. I think I have maybe 2 of the items up there and I bought them with the intent on using them… but somewher between working out an my couch i got lost! great tips and definitely got me reconsidering working out again! I ma excited to hear that you reconsidering getting off the couch. You can do it! I like the idea that you don’t need a lot of big giant equipment to have a decent home gym. I’m with Robin on this now who’s going to get me to use the equipment that I have it at home I need some motivation . My husband has his own workout space and I read your post to him. He scored very well! Thank you for the information on the pieces he didn’t have and why he should! Love the idea of setting up a little circuit at home and quite inexpensive when you think about it! I have a gym membership but if I was ever to cancel I think I’d implement a few of these! I would love to so some more things from home, sometimes it is just so hard to get out of the house to work out! Those adjustable dumbbells are on my fitness wish list for sure. We don’t have a lot of space, so they would be really handy. Well I have kind of a home gym…just a couple weight bars, free weights, a mat and all my videos since I am mainly a runner. But I need to invest in some battle ropes and kettlebells for sure! A mirror is so helpful when working out. I use mine all the time to make sure my form is on par. You don’t really need much to be able to workout at home. Although it depends on the workout routine that you have planned for yourself. I think these items are important to have! I love working out at home because I don’t have to go to the gym, saves time and money! I think these are great, having the basic equipment is important. I never thought about having battle ropes in a home gym. What a good idea. I love the idea of a home gym. I should consider it. I have a couple of these pieces and they make it so much easier to get a good workout in when the weather is bad or when I’m home alone with the kiddos. I need to get some kettle bells. Great tips! I have always wanted my own home gym. I never heard of adjustable weights though. You really have my mind going now lol. The mirror is such a great tip, and I really think that it isn’t something most people would consider but is crucial for checking your form! I have a bit of a home gym thing going in my apartment. I have a treadmill, huge mirrors, dumbells, and mats. I wish I had high enough ceilings for a jump rope though and I also wish I didn’t live on the top floor. Having a home gym definitely helps with fitting in workouts and living a healthier lifestyle! I love it! I would love to set up a home gym at my house someday. These are some great equipment ideas for sure. These are great tips. Currently I only have a treadmill…in my bedroom! I’ve seen some amazing home gyms in small spaces to get me motivated. I am currently working out at home, I need to get some more equipment! I’m hoping to join a gym this summer, though! These are good ideas. My husband wants a home gym… I will show him your post. I used to workout at home but I swear its really a commitment. Great tips. I don’t have much space at home but it seems your chosen items don’t take much space up which is great. I really prefer working out at home so I have set of essential equipment such as kettlebells, dumbbells, pull up bar etc. It’s more practical than going to the gym.